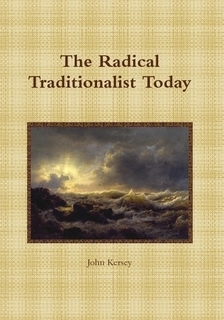 “The Radical Traditionalist Today” is a collection of essays and talks by John Kersey. Deriving from his contributions to the Traditional Britain Group and the Libertarian Alliance (UK), they explore areas of culture, politics and law, as well as addressing the increasing ideological censorship of the modern British state. Published by European-American University Press and available in paperback. 242pp. £17.95.